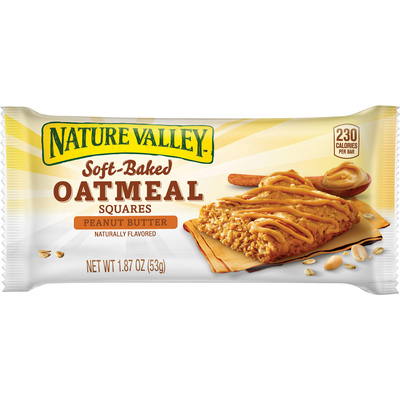 These Soft-Baked Oatmeal Squares Offer 100 Percent Natural, Whole Grain Oats That Are Soft Baked To Perfection. Oatmeal Bars Contain 12 Grams Of Whole Grains Per Serving. Get A Great Source Of Energy To Promote A Healthy Lifestyle With This Tasty Treat That'S Made From Pure And Natural Ingredients.. These Soft-Baked Oatmeal Squares Offer 100 Percent Natural, Whole Grain Oats That Are Soft Baked To Perfection. Oatmeal Bars Contain 12 Grams Of Whole Grains Per Serving. Get A Great Source Of Energy To Promote A Healthy Lifestyle With This Tasty Treat That'S Made From Pure And Natural Ingredients.